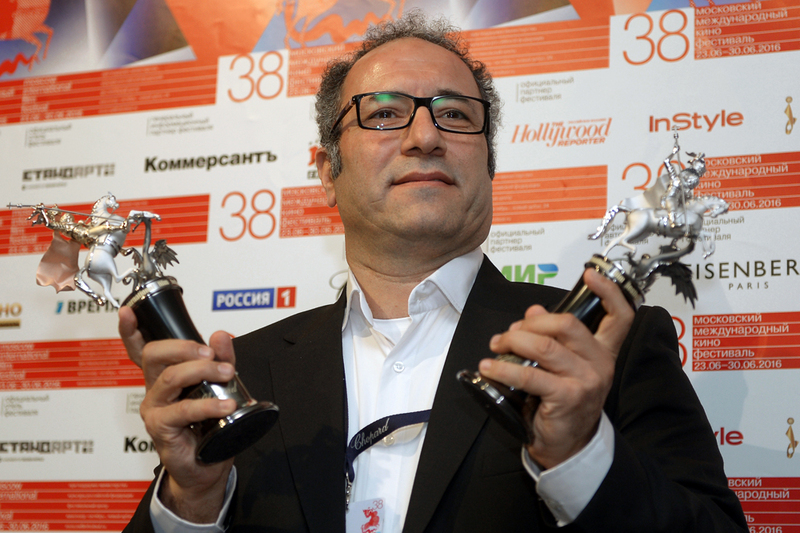 Iranian director Reza Mirkarimi, winner of the Golden George award for his film Daughter, accepts the Best Actor award for Farhad Aslani at the closing of the 38th Moscow International Film Festival. The winners of this year’s Moscow International Film Festival, which took place from June 23 to June 30, have been announced. And not one Russian can be found among them. The winner was Mrs B., A North Korean Woman by Jero Yun. "It took me three years to make the film. It is nice now to remember that time, but back then it was difficult,” said Yun. “The mother of two sons overcame many obstacles in order to get out of North Korea into the free world. Through her story I wanted to express all the pain that she had accumulated," he said. This award went to Iranian actor Farhad Aslani for his performance as the father in Daughter, a melodrama about a traditional eastern family. The golden St. George statuette will be presented to Aslani by the film's director, Reza Mirkarmi, who said that he had already worked twice with the actor and hopes to collaborate with him again. The award for best female role was picked up by the festival's youngest participant, 13-year-old Therese Malvar, for the film Haze, a story about four waifs. Director Ralston Jover, who accepted the award on her behalf, said that the actress had also received recognition in the Philippines and he is convinced that she will be honored at the New York Asian Film Festival, which begins on July 1. The best director was named as Puk Grasten from Denmark with 37, her feature film debut. The film is based on a true story: In 1964 a girl was raped and killed near her house in Brooklyn. There were 37 witnesses to the crime, but none of them informed the police. The Best Film award was given to Reza Mirkarmi's Daughter. "It’s the second time that I’m receiving a prize at the Moscow Film Festival. And again for a film about family values," said the director, who is also the film's producer. "Firstly, I will show the film to my daughter Sara and will thank her and my family, as well as all the wonderful members of the team that worked on the picture."